We went to the Passover Experience at Capernuam 1st Century Village today. They have actors in the village and the Path of Plagues. It's quite the experience and only held 2 weekends before Easter Sunday. You captured wonderful details in your photo -- and this sounds like a wonderful experience for Easter-time! Very nice range of tones. Its like stepping back in time. A super event! Lots of work and research goes into this to recreate the Passover event. 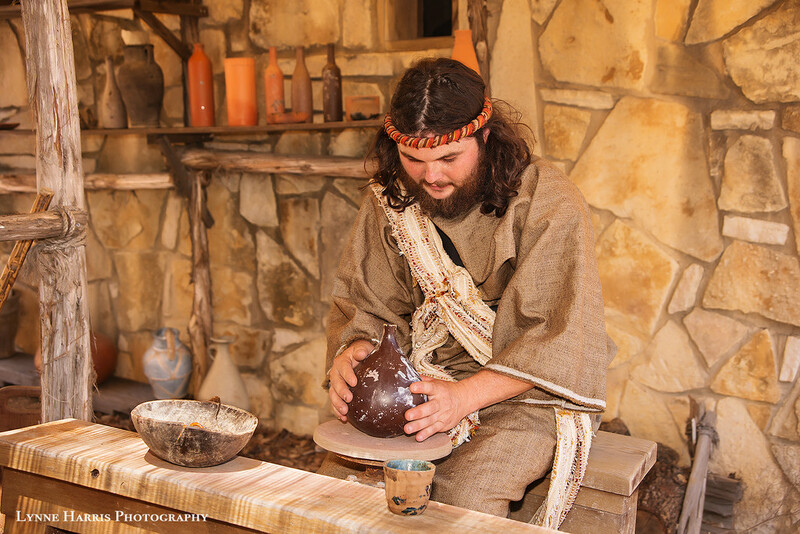 A great shot of the potter - so neat to see what life was like 2000 years ago. What super lighting and focus. What a fascinating place, I had to Google it to see where you were! Great image. Beautiful capture. Love the crisp focus and tones. Sounds a fascinating place, nice shot! fantastic scene. Is this the same place where they had the Bethlehem town during Christmas? @dmdfday Diane, yes, this is the same place. They now have 3 events (I think) that they do each year.